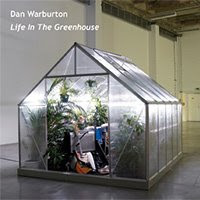 The first of two releases on the new Appel label finds Dan playing his ax by himself in a "greenhouse" (judging from the cover photo, I don't think any photosynthesis was effected, hence the quotes) designed by Peter Coffin, amidst the quiet hubbub of the Palais de Tokyo in Paris. His playing isn't very much up my alley--too gestural and hyperactive for me, by and large. I might guess that he would've found the idea of playing more discreetly, allowing the ambient sounds equal footing, to be trite by this point and chosen a different path. Or maybe he didn't care and just felt like sawing and plucking away. To my ears, those moments where he grows more subdued and entertains a mere handful of options, pausing to listen to the space around him, work very well; wish there were more of them. 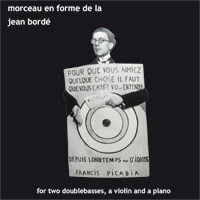 A new name to me (hard to fathom or excuse given the range of playing companions listed on his myspace page), Bordé's piece for, I take it, overdubbed violin, piano and a pair of double basses is a wonderful, fascinating work. I detect all sorts of referents, from George Crumb to Simon Fell, but it manages a unique character itself, calmly striding from point to point, balancing itchy arco with serene piano chords, vigorous pizzicato with soft bells, constantly varying the attack and actually coming up with different angles each time that nonetheless coalesce into a very satisfying whole. Good one. Ah, our favorite trickster. When last heard from, he had the lovely idea of hyper-amplifying Cage's 4'33" to an extreme volume level. When he issues something called, blankly, "Experimental Music", you know something else is up his sleeve. Well...OK, it's game piece of sorts, consisting of the letters, in English, of the phrase "experimental music" being spoken (female voice), each on a 4-second. The mini-disc, therefore, contains 1:08, 17 4-second tracks. 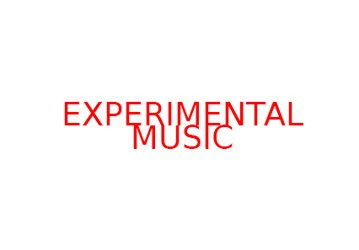 Your mission, should you decide to accept it, is to play the disc on shuffle until the letters spell out the phrase "experimental music" in the proper order. That's it. I did this for a bit and, actually, the first time through, my initial two letters were "E" and "X". "Hmmm", I thought, "this might be easy." But no...So, needless to say, even stretching my Cagean ears to the utmost, it's not such a rewarding task. Obviously, to really do this, one mus concentrate, likely far more than one does when listening to even difficult music, mentally tracking the sequence of letters. I can imagine that were one to do so (and I admit that I doubt I'll ever get there), one might enter a kind of trance state where unusual things might be revealed. Maybe not. Of course, you're free to try it yourself, here. Do let me know what you experience. You're right Richard, it's not completely improvised. Jean's original subtitle for the record was "composition for improvised double-bass" meaning he had the mainlines in head before he recorded, including timing and progression through the A chord, but I don't think he wants too many details to be revealed about it, preferring people to enjoy it as it is, and perhaps having the musicians trying to work out the construction. All I know is that there's a quite complex underlying... I'm glad you both enjoyed it !